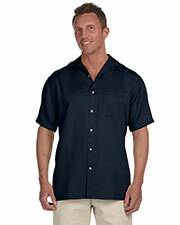 One of the most popular designs for men’s casual shirts is the camp shirt. 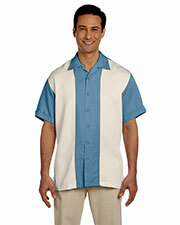 Today’s popular camp shirts are based on the 1930s style Cuban guayabera. These casual shirts are popular all over the world under names like camp shirts, safari shirts, Cuban shirts, and tropical shirts, depending on where you are and what details are used. 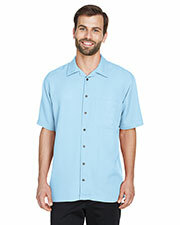 Our men’s casual shirts are all simple and sophisticated to help you feel comfortable and relaxed. 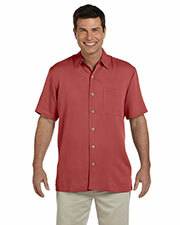 Select from a variety of popular designers of camp shirts, such as UltraClub, Devon & Jones and more for men’s casual styles at wholesale prices from Gotapparel.com. Although men’s casual camp shirts started out as a reminder of laid back times on the beach, they have become much more versatile. 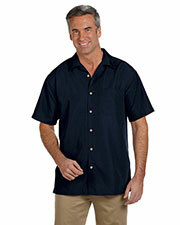 These casual men’s shirts are suitable for all kinds of activities. Men’s casual shirts can be easily worn with pants or shorts to create the perfect outfit for casual occasions, no occasion, and even casual office wear. 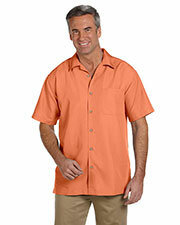 Our men’s casual camp shirts come in a several of subtle solid colors and complementary color combinations. The next time you are considering adding a little spice to your men’s casual wardrobe or company uniform, consider our selection of men’s casual shirts. Shop for other apparel options and accessories for work wear and business wear at wallet friendly wholesale prices. Terrific new shirt. Looks great, yet offers remarkable performance. I would like to recommend others. Its a wonderful purchase. The shirt is warm and fits great. I can’t wait for it to get a bit cooler so I can wear it! Very excellent shirt for the price. Breathes well and looks sharp.i would like to recommend it.